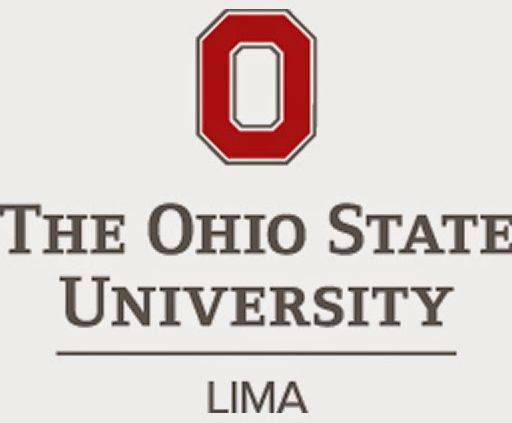 LIMA — Ohio State-Lima students recently graduated with bachelor’s and associate’s degrees during the 2018 spring commencement ceremony. Ellis Barnes, Scott Braunwarth, Kaitlin Kidd, Morgan Morton, Lloyd Briggs, Baylie Brock, Alex Brunk, Carla Caprella, Michael Downey, Brendan Draper, Michael Fetter, Alyson Grubbs, Britteny Hendrickson, Emily Himsel, Megan Long, Sarah Mackesy, Parthkumar Patel, Alison Roof, Jazmine Thomas, Eve Gabrielle Villaruel, Jasmin Guerrero, Riley Klaus, Emilee Meyer, Drew Ripploh, Rachel Leffel, Saint Marys, Elisabeth Ruth, Megan Schmehl, Cory Sims, Breanna Miller, Megan Blankemeyer, Chloe Martin, Chelsey Klosterman, Mattea Rolsten, Julie Schmersal, Joseph Van Oss, Brittney Caudill, Trevor Maag, Spencer Vorst, Olivia Douglas, Grant Weihrauch, Madalyn Herman, Tyler Egbert, Drew Wehrman and Lauren Leatherman all were awarded associate’s degrees. Tara Herr, Elizabeth Nichols, Trey Roney, Melody Gibson, Kayla Miller, Nathan Pohlman, Alexis Barnt, Emily Daniel, Kecia Kramer, Paige Lucas, April Yoakam, Morgan Miller, Branden Nickles, Aiyanna Bennington, Jenna Bush, Alissa Cox, Bryce Crea, Shane Dumm, Amber Griesdorn, Adrienne Harmon, Caitlynn Holobaugh, Brandon Howell, Muhammed Jajeh, Limara Jett, Lillian Jones, Brandi Kerby, Lindsey Kuhns, Leigh Lehman, Andrea Morales-Casasola, Joshua Palmer, Alyssa Cook, Jasmin Guerrero, Tyler Meeker, Lyndsey Roberts, Courtney Van Horn, Jessica Otting, Abbigayle Conkle, Brooke Martin, Kerrie Miller, Lorrae Phillips, Karli Schneider, Isabella Worden, Emily Keckler, Ciera Badertscher, MacKenzie Downing, Jonathan Fissel, Ashley Newman, Ashley Schwartz, Megan Wilson, Madelyn Dishop, Morgan Robison, Christa Holt, Katelyn Freewalt, Mackenzie Welker, Janel Griesdorn, Maria Stein, Stacy Hartings, Jessica Smalley, Connor Kohls, Taylor Williamson, Brian Recker, Jenna Horstman, Shaunna Basinger, Emily Buist, Katelyn Kaufman, Becca Schlumbohm, Alex Brunswick, Joshua Schwartz, Cynthia Larger, Renae Meyer, Regan Hahn, Karly Baird, Paige Barker, Morgan Stiffler, Lucas Gibson, Levi Brake, Stephanie Longwell and Brooke Bowen earned bachelor’s degrees.